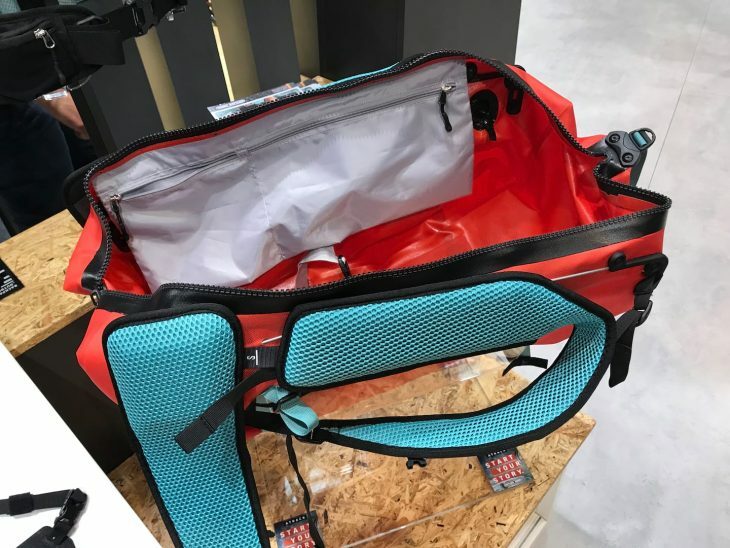 There were lots of new colours and suchlike at this year’s Eurobike trade show, but here’s a run down of the new models of bags that we’ve spotted. 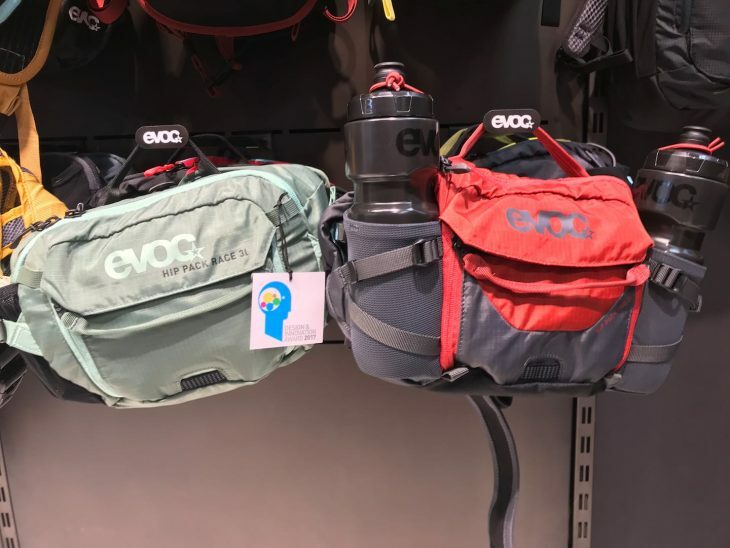 We’ve noticed that there’s an increasing emphasis on back protectors, the popularity of hip packs continues, and capacious back packs are now coming with a battery pouch – which might prove to be handy for overstuffed half baguette sandwiches too. 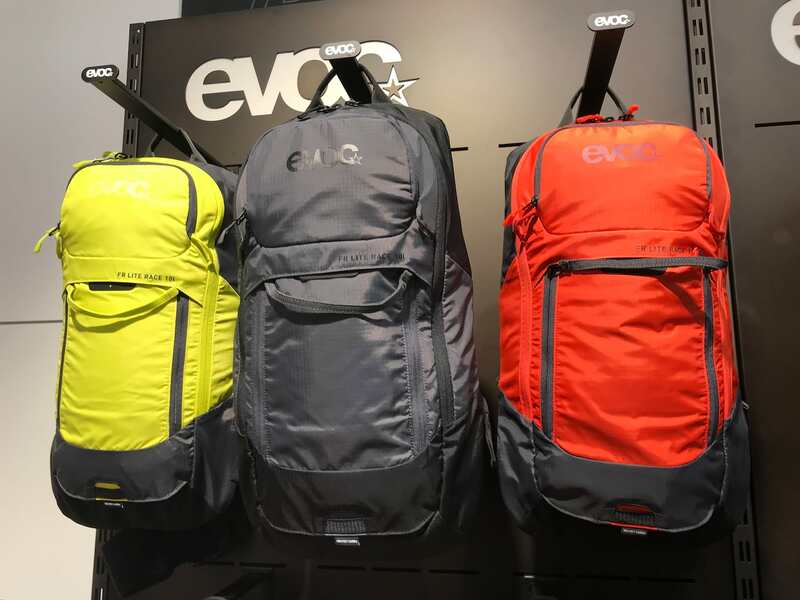 This is the new Neo backpack from Evoc with built in back protector on the outside of the pack. 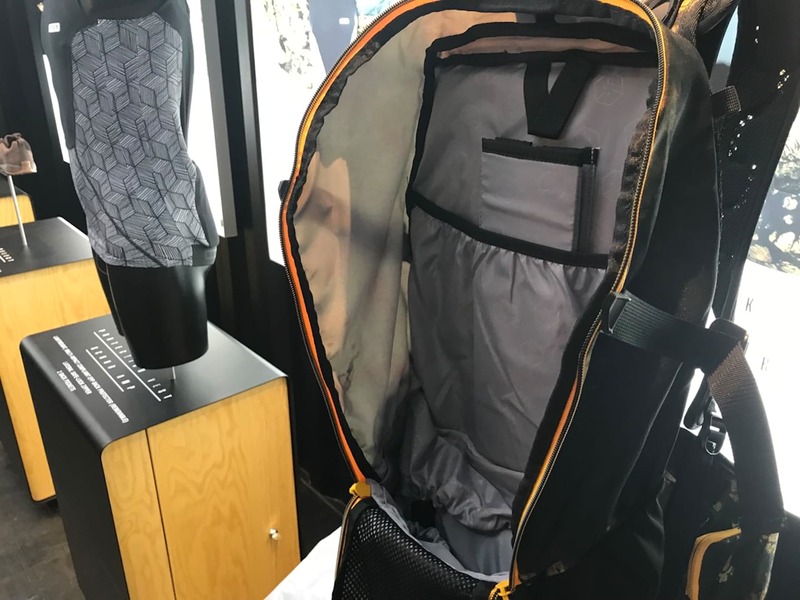 Made with its ‘Air Shield’ which provides 360° ventilation and has a sticky finish to stop it slipping about on your back. If you manage to damage the protector you get a free crash replacement, and it’ll work in temperatures between -20C and +40C. 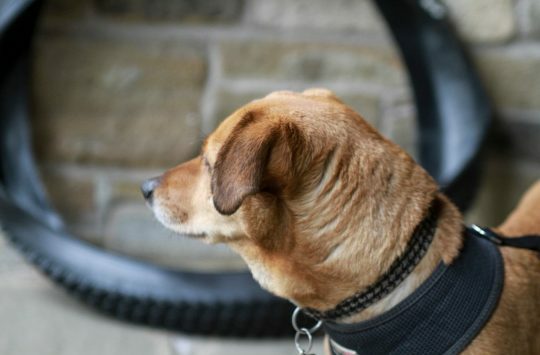 It doesn’t come with a bladder, but there’s a magnetic tube clip provided that will clip onto any hose and then hold it neatly across your chest. The FR Lite Race has been redesigned to be shorter than the previous model in response to complaints that it could catch the back of your helmet when riding in an attack position. It also now incorporates ‘Blackline Ventilation’. 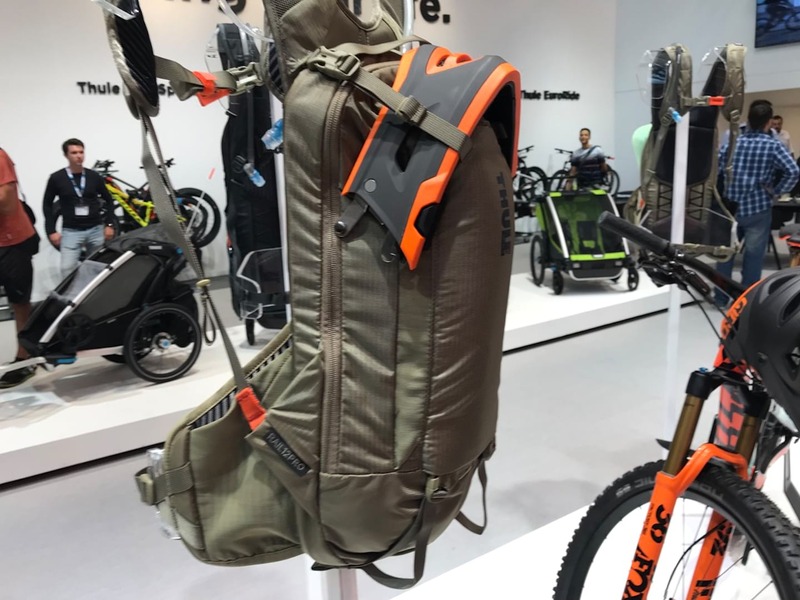 The new Hip Pack Pro has space for two bottles plus a bladder, while the Hip Pouch is a small 1 litre pack with just enough room for basic tools but no water carrying capacity. Both now incorporate easier to adjust adjusting straps that go behind the side pockets and can be adjusted from either end. This is a new size of pack with back protector, designed either for big mountain riding, or e-bike riding – there’s a battery pouch inside. 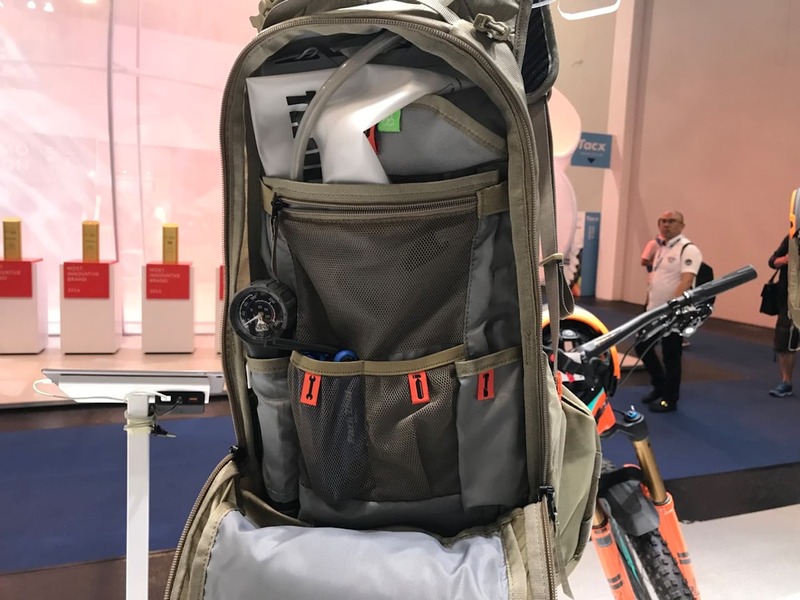 It’s truly a huge bag, you’d probably want to be on an e-bike if you were having to lug something this big around with you. 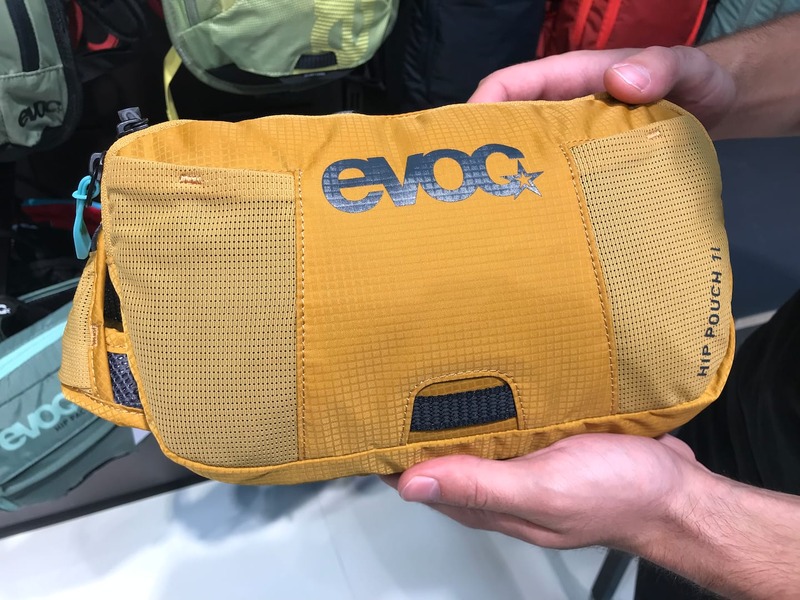 Vast bag for big days out or a battery. 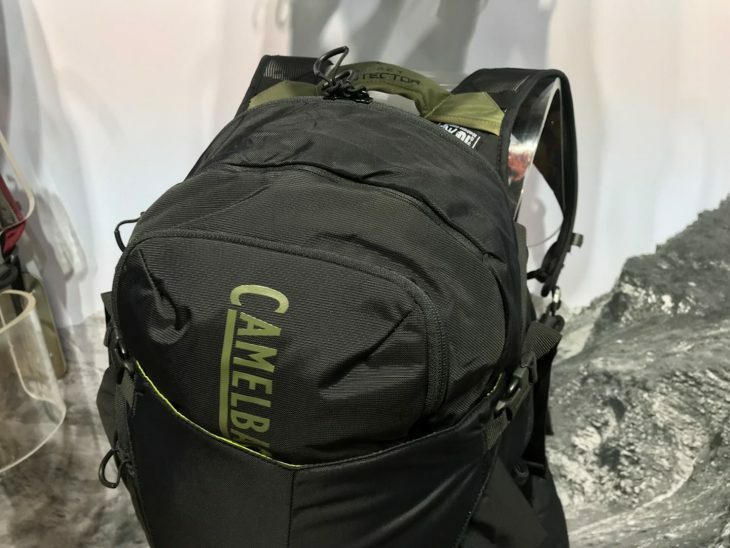 The Pulse series will be available from August, offering small packs with bottle carrying capacity plus the Pulse 3 which has a 1.5L bladder. They’re not bike specific though – also aimed at runners and hikers. 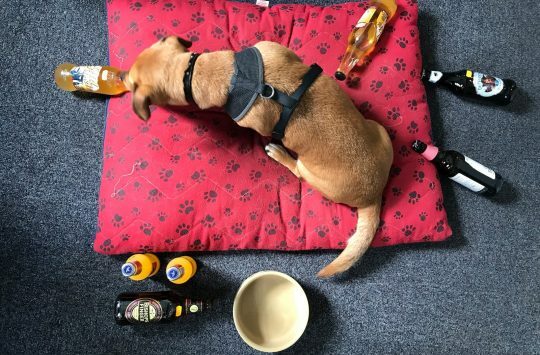 Small packs for a bottle, or a bit more too. 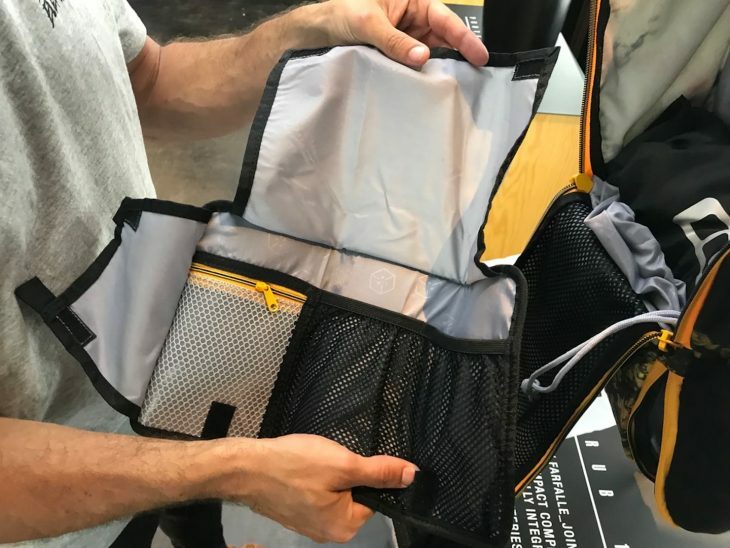 This bag comes in two sizes: s/M and L/XL – both have the same volume, but the lengths are different to give a better fit to the back and avoid clashing with the back of your helmet. 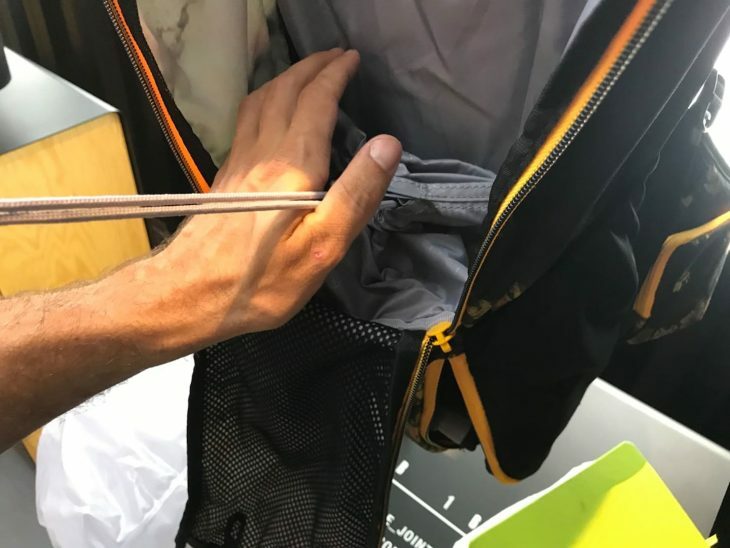 Bottom compartment can be sectioned off with a drawstring and accessed from underneath, or opened to give a single large compartment. Decent size tool roll included. Battery compartment – ‘So Watt’ (boom tish!) pocket – on rear of back. 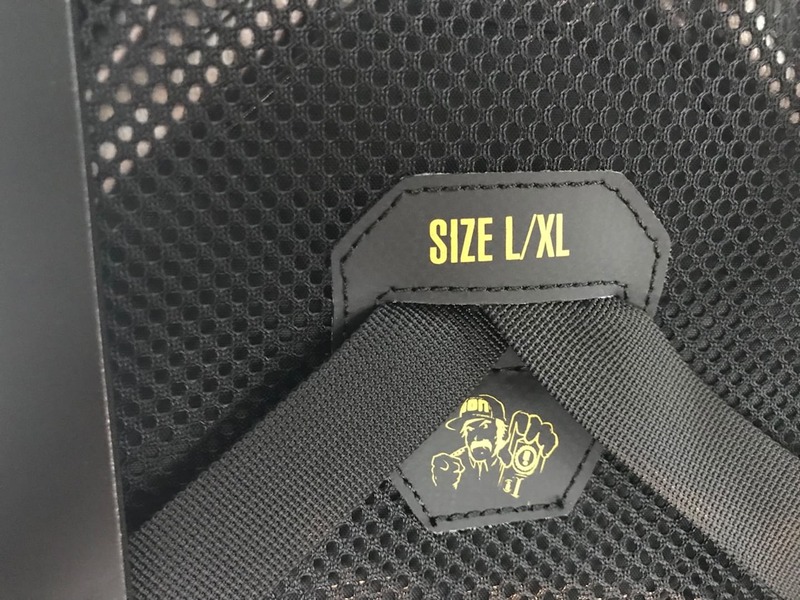 Sized for a better fit. No more full face carrying in the enduro world? The Rail Pro is designed for enduro and includes a back protector and bladder, plus is equipped with external straps to hold pads and chin bar. 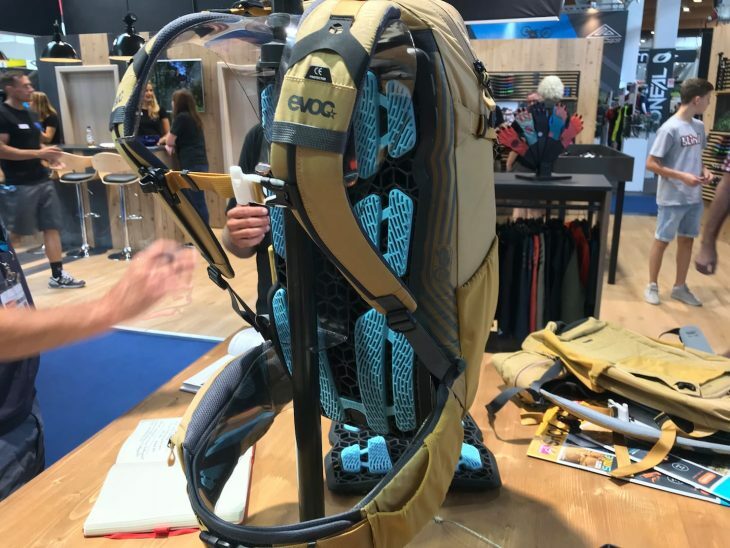 The Pro comes with a back protector and bladder, plus 12 litres of carrying capacity. 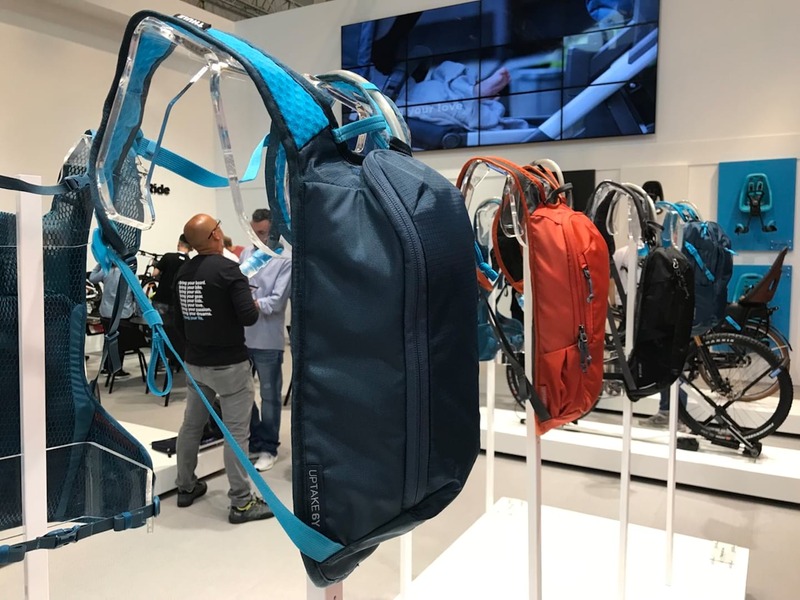 The Rail (not Pro) in 8L and 12L options does not have provision or capacity for a back protector. Space for both pump and shock pump is provided. 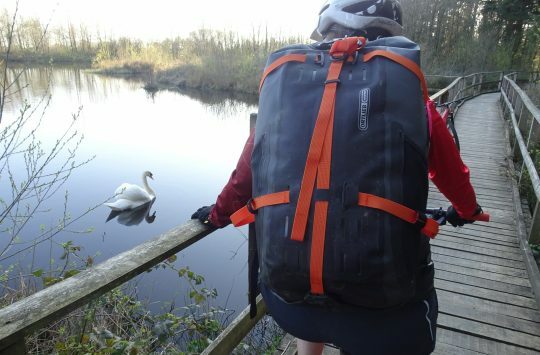 The Uptake range of bags starts with a ‘Youth’ hydration pack aimed at children of 7-12 years. Then there are 4, 8 and 12 litre versions for the rest of the family. All the stuff, and an essential skateboard. 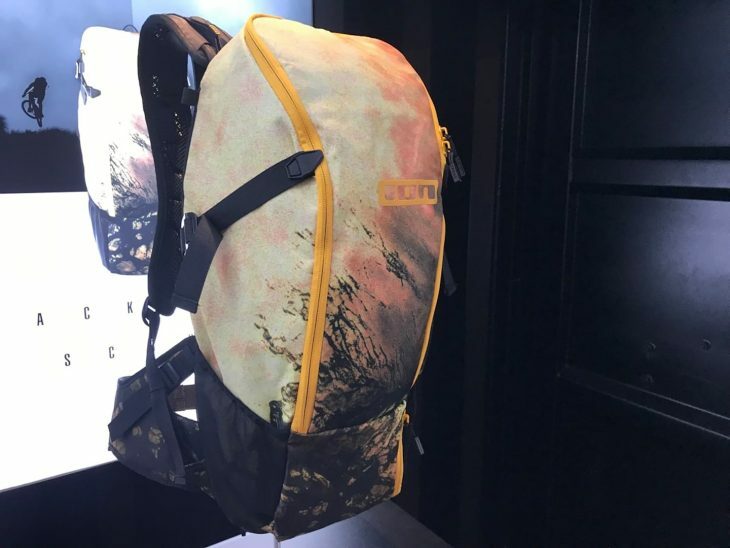 This isn’t a bike specific bag, it’s more of an outdoor lifestyle affair. Coming in three different colours and sizes, this waterproof bag has handy straps for carrying awkward objects outside the pack itself. 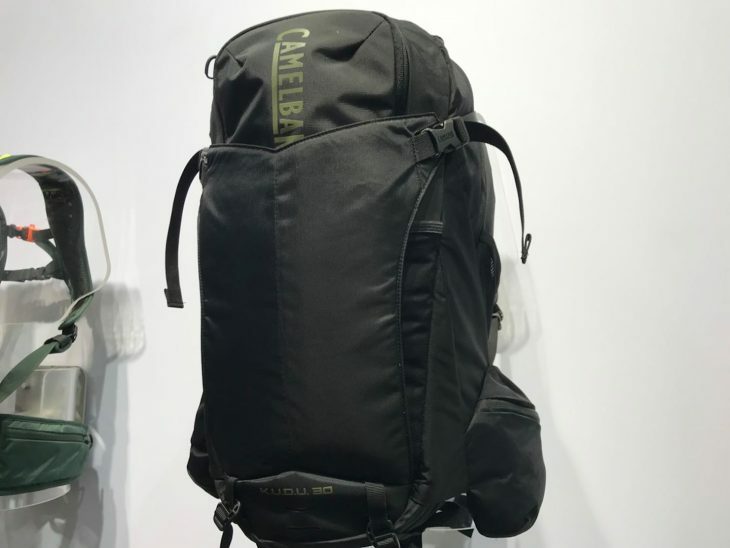 For added versatility, you can either use it as a back pack or duffle bag. 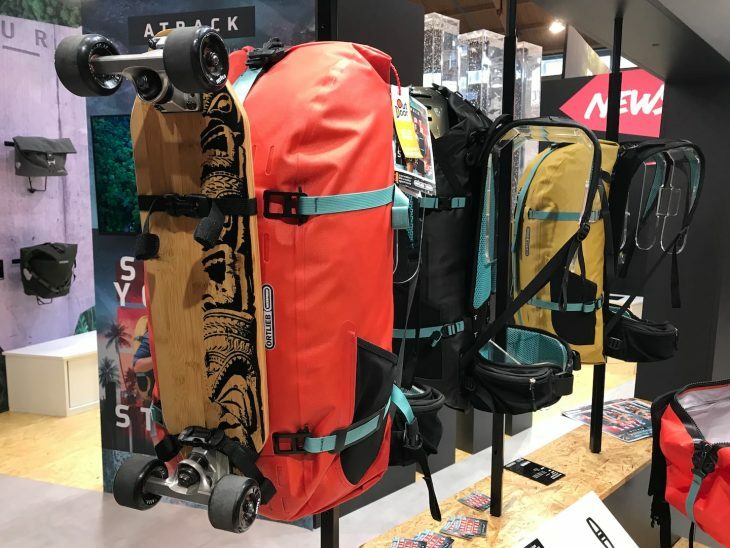 This looks like it would have great potential for travelling to places where roller bags would be inconvenient. 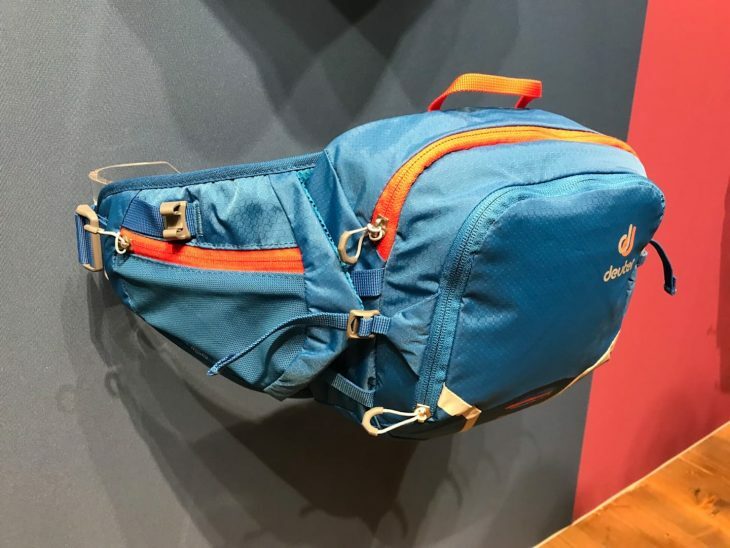 Also turns into a duffle bag. 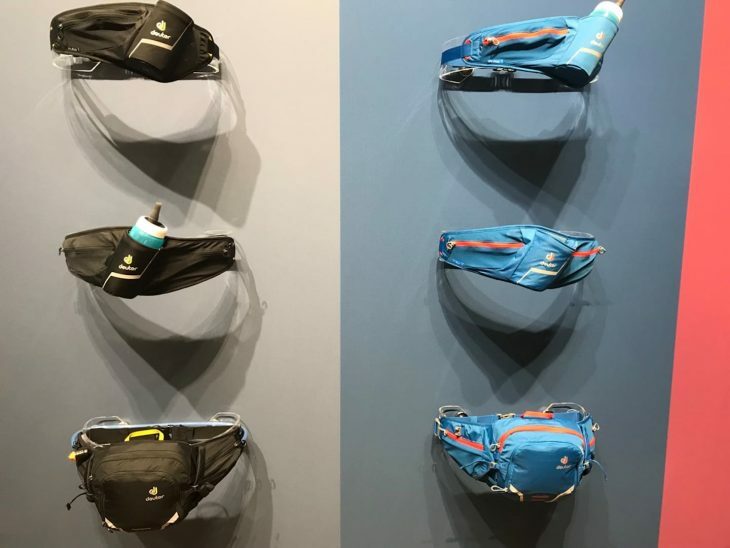 With packs to suit every possible length of ride, there’s no excuse for finding yourself out on the trail without the necessary kit. Unless of course you’ve left it in your other bag.